July | 2013 | Books Now! 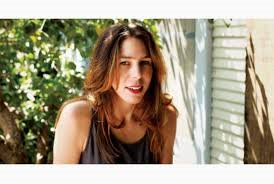 The first image that inspired The Flamethrowers, says Rachel Kushner, is that of a young woman with masking tape over her mouth; the second was of a Ducati motorcycle. There were other thoughts that flitted across her mind too – art and revolution. These elements coalesced to form the narrative base for her new novel. Kushner, who is also a poet and essayist, came to prominence when her debut novel, Telex from Cuba, won a number of awards and was a New York Times bestseller in 2008. Dealing with the events that led to Castro’s Cuban revolution, it underpinned several themes that are obviously of great interest to her – politics, history and social change. The Flamethrowers weaves all of these strands to create a multi-layered narrative that mashes the bohemian world of art in 1970s Manhattan into the turbulent underground politics sweeping across Italy at the same time. The novel’s 22 year-old heroine is never named, known only as Reno – the place she comes from. A motorcycle racer who breaks a world record for dashing across salt flats in her leathers, she nevertheless views herself primarily as an artist. She comes to New York to further her career and to discover life. Of course, she finds much more than she bargained for. The Flamethrowers is (most satisfactorily) a coming-of-age novel, with (less satisfactorily) the building blocks of thriller thrown in. Manhattan in the 1970s was the birthplace of Minimalism. Artists were abandoning Abstract Expressionism for work that followed critic Clement Greenberg’s dictum of being non-representative and an experiment in pure form. This is the world that Reno falls into – naïve, almost childlike in the way she trusts and follows others, she becomes the girlfriend of one such artist, Sandro Valera, heir to an Italian motorcycle fortune. The reader follows her through the precious, vacuous, self-referencing world of art, full of jostling egos and petty jealousies and vendettas. It’s a wonderfully satirical portrait filled with memorable characters and a deliciously wicked depiction of the Chattering Classes. How these people talk! One monologue goes on for 13 pages! Wide-eyed, with a curious innocence, Reno takes all this in, non-judgmentally, a blank canvas waiting to be written on. The second half of the novel sees Sandro and Reno travelling to Italy, where they visit the matriarchal mansion on Lake Como, ostensibly for Reno to compete in a motorcycle trial. Again, Kushner takes us into the privileged world of the Italian upper class, with its snobberies and prejudices. It’s here that the novel begins to unravel. 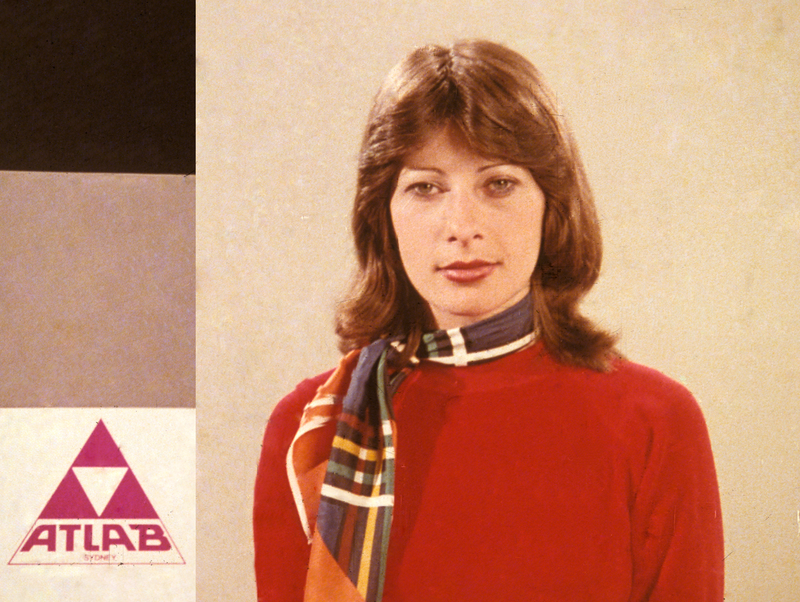 During the 1970s, revolution was in the air. In 1978 the Red Brigades killed the leader of the Christian Democrats and former prime minister of Italy, Aldo Moro. Kidnappings of rich industrialists were rife. Hundreds of thousands of people, many armed, gathered to protest against government corruption in the streets of Rome. Factories and public servants went on strike. Pulled in, almost by accident, into riots and a Red Brigade-like terrorist cell, Reno has to grow up very quickly and take matters into her own hands. Kushner’s prose combines the intensely poetical with a flair for objective reportage. Yet there is a sense, in the Italian part, that she is simply reproducing vast tracts of research and background reading and twisting it into plot. The disparate story-lines mesh uneasily, the characters’ arcs sag. She’s much more comfortable in the New York sections of the book, where the narrative sparkles and the protagonists pulsate with life. There are protestors and gangs in New York, too – revolution is in the air, both politically and artistically. The novel also intersperses Reno’s story with that of the original founder of the Valera factory just after the first World War. This is perhaps the most awkward part of the narrative, as Kushner takes up Valera and runs with him for a few sections, and he is then, inexplicably, abandoned. One of the interesting aspects of the novel is Kushner’s use of archive photographs to introduce chapters of the book. 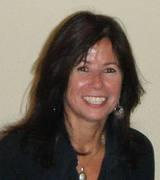 They show her extensive research, her desire for accuracy and objectivity and are of great historical interest. The title of her novel is not arbitrary: there were real Flamethrowers – the Arditi of the first World War, an elite troop of Italian soldiers who breached enemy defences in order to prepare the way for a broad infantry advance. Kushner’s characters are also Flamethrowers in a sense, blitzing their way through artistic and political environments with mixed success. It’s an apt metaphor for the novel itself. Tags: 1970s, Abstract Expressionism, Aldo Moro, Arditi, art world, China girl, Clement Greenberg, Cuba, Ducati motorcycle, feminism, Fidel Castro, Italy, Minimalism, New York, politics of the 1970s, Rachel Kushner, Red Brigade, Telex from Cuba, The Flamethrowers | Permalink. Time to Blush: A WordPress Award nomination for Books Now! My sincere thanks to author Billy Ray Chitwood of The Final Curtain (http://thefinalcurtain1.wordpress.com) for putting Books Now! forward. I am extremely honoured and touched. The Award celebrates the family spirit of blogging, as you connect with people you will probably never meet in person. There are no rules, apart from displaying the logo on your blog and a “Pay It Forward” concept of nominating 10 other inspiring bloggers in turn. This, of course, is where the difficulty lies. I subscribe to MANY blogs and they are all extraordinary in their way. Finding 10 blogs is virtually impossible. My list is by no means exhaustive and if your name is not there, please know that I cherish you still! On a personal note, I’d also like to thank the growing number of subscribers who are visiting Books Now! The blog has been running for just three months and now has a following of over 100 people from all over the world. It has been thrilling to converse with many of you and to join the book loving community. 4. 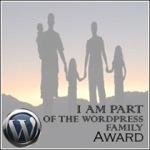 Contact your WordPress family members to tell them of your nomination. Books Now! is now on holiday and my next post will be (flights permitting) on 28 July. In the meantime, I’m delighted to introduce a Guest Spot by my fellow blogger Grace, from the great blog Cultural Life (http://culturallife.wordpress.com). She’s reviewing a recent classic, Irène Némirovsky’s Suite Française. It’s a fascinating choice – Némirovsky’s a somewhat controversial figure in her native France. Although she died in Auschwitz in 1942, many historians now judge her harshly: the irony is she appears to have actively courted the French establishment to publish her works in the 1930s and many of her novels, including the notorious Daniel Goldfarb, are quite anti-Semitic themselves. Despite this, Suite Française is an extraordinary account of a country in turmoil, and I thank Grace very much for selecting it. In 2004, a novel was posthumously published in France, over half a century after the author’s death. It became a bestseller and to date, over 2.5 million copies have been sold. Suite Française is a book with an extraordinary story behind it. Set in France during the Second World War, it is an epic story of love, pain, conflict and hope. Its author, Irène Némirovsky, was born in Kiev, Ukraine in 1903. Later, she moved to Russia with her parents where they lived until the Revolution broke out and her father, a wealthy banker, was forced to go into hiding by the Bolsheviks. After travelling to Finland and Sweden, the Némirovsky family sought refuge in France, where Irène was free to pursue her love of reading and writing, studying literature at the Sorbonne and graduating with a distinction. In 1926, she married a banking executive, Michel Epstein, and they had two daughters: Denise and Elisabeth. For Irène and her family, life was happy until the ominous threat of the Second World War. Despite their conversion to Catholicism in 1939, they were still considered Jewish. When the German army invaded Paris in June 1940, Irène and her husband left, fleeing from the dangers of increasing anti-Semitism in the city. Irène vividly depicts the mass exodus from Paris in the first part of Suite Française, entitled “Storm in June”. In July 1942, Irène was arrested by the French police. She was taken to the Auschwitz concentration camp, where she died on August 17, 1942. Her husband, Michel, was also deported to Auschwitz, where he died in the gas chamber. The two little girls, Denise and Elisabeth, were sent away with their governess and went into hiding for the duration of the war. Throughout the time that they spent going from place to place, hiding in cellars away from the French police, they carried their mother’s notebook with them in their suitcase as a beloved memento of their mother. They had no idea what the notebook contained and after the war ended, neither of them read it. 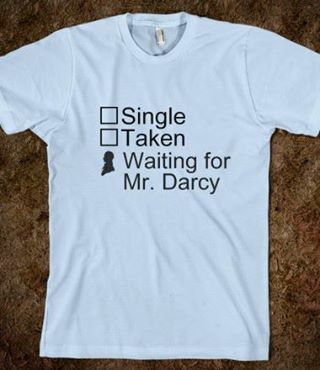 It was too distressing. In the 1990s, Denise and Elisabeth decided to donate the notebook to an organization which archived documents from the war. But, before giving it to the Institut Mémoires de l’Edition Contemporaine, Denise decided to copy out the contents of the notebook. When she opened it and began reading, she discovered the manuscript of the first two novels, “Storm in June” and “Dolce”, of a planned five-part series. These two novels were published as Suite Française to tremendous critical acclaim in 2004, followed by an English translation by Sandra Smith in 2006. Suite Française is an engaging read with a compelling first chapter. Paris, under “the clear, golden June sky”, is suffering through an air raid as the first German bombs start to fall. The scenes portrayed in the book are highly evocative and take the reader to the heart of the story, from the scenes of desperation and sadness as thousands of Parisians flee the city in the first half of the novel to the small French town under German occupation in the second part. Némirovsky’s writing flows and captures the reality of this time in history. Her characters are three-dimensional, struggling to adapt to the conflict which is ripping across their country and the personal conflicts within themselves. In “Dolce”, a French woman starts to fall in love with a German soldier, yet others in the rural village cannot look past the atrocities which the German army is inflicting on their people and their country. The descriptive yet concise sentences create gripping chapters which make the reader want to read more. She planned five novels in the series – a suite – but only completed two. Alas, we only have a brief outline of the third novel, “Captivity”, which she jotted down in her notebook before the tragic end to her life. 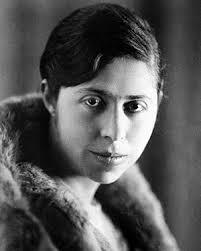 But Irène Némirovsky lives on in the intense, beautiful clarity of her prose and this wonderful rediscovered novel. If you enjoy Suite Française, I recommend her other works, which include Fire in the Blood, The Wine of Solitude and The Dogs and the Wolves. I read the English translation of Suite Française, translated by Sandra Smith, and published by Vintage Books. At the time of writing, it is available on Amazon.com for $12.49. A movie adaptation of Suite Française, with a stellar cast including Kristin Scott Thomas and Michelle Williams, is currently in production. Tags: Auschwitz, concentration camps, Daniel Goldfarb, Fire in the Blood, Irène Némirovsky, Suite Française, The Wine of Solitude and The Dogs and the Wolves., World war Two | Permalink. 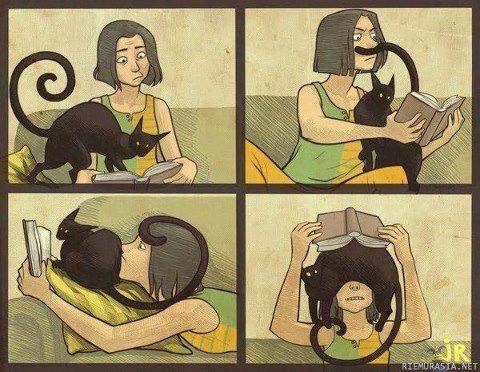 Tuesday Trivia: Perils of the Feline Bookworm….. Thanks, Allen & Unwin for brightening my day with this post. In the middle of the Baltic sea lies Sweden’s largest island, Gotland. It’s a wild place, lashed by unpredictable weather, with high, rocky escarpments, medieval churches and towers, cobbled streets, a fortress dating from the Middle Ages and vast expanses of beach that spread out to sea. Novelist Fiona Capp knows Gotland well. She’s been there three times and is fascinated by its limestone cliffs and timeless presence. Gotland is a refuge from the hustle and bustle of city life. Wandering through the winding streets, gazing at the turrets of its ancient buildings, you’re transported back into a long-lost European fairy-tale. The hazy light and grey landscape of this bleak yet magical space could not be more different from Australia. Gotland is also the title of Fiona Capp’s new novel. It’s where her heroine, Esther, escapes to after her politician husband David is elected leader of his party, and just before he wins the general election. A shy and private soul, Esther’s uncomfortable with the spotlight. No-one could be a more reluctant prime ministerial consort. She just wants to continue teaching her Year 9s and negotiate the difficult adolescence of her fourteen-year old daughter, Kate. This polarisation of private versus public selves is at the heart of the novel. Capp could not have known, when she was writing the novel, about the current state of Australian politics, when so much debate has focussed recently on the way in which the media have portrayed the former Prime Minister, Julia Gillard, the curiosity and speculations over her private life and her very public ousting from government. But she admits to being curious about the partners of politicians, and their ability to cope with the intensity of public scrutiny. “There is so little privacy today”, says Capp. “The intrusiveness of social media, the constant media gaze trained on public figures, the way you’re being judged and publicly discussed was something I wanted to explore. It’s something I understand because as a writer, I have a very private life when I’m working on a book, yet once it’s published there are interviews, public appearances, readings, signings – not all writers are comfortable with this”. You sense that Capp feels a touch uneasy with the publicity demands of book tours and writers festivals herself. She’d much rather be scribbling in her retreat, a room in a Fitzroy hotel. Her partner, the novelist Steven Carroll, writes at home, but she prefers “getting up and going to work, I like that discipline of going somewhere else specifically to write”. A quietly-spoken woman, she becomes animated when talking about Gotland and the themes of the novel. It’s a book about different kinds of love, conjugal, the love between siblings, parents and children, as well as the unexpected, heady rush of sexual attraction between two people. The novel examines the way love, and ideals, change over time. After twenty years of marriage, Esther begins an affair with Sven, an artist who lives in Gotland. In this relationship, she’s trying to recapture the raw passion she and David had in their youth, not simply for each other, but for life in general. Both active in student politics, she and David had believed that anything was possible. Yet with the passing of time, they have both had to accommodate, make do. Sven, too, no longer takes the kinds of risks he faced when he was younger, creating anonymous, pop-up sculptures that sprouted overnight in the landscape. He also learns the importance of playing by the rules. No-one has absolute freedom to do exactly what they want. Capp is well-known for her memorable evocations of place. Her novel Night Surfing and her non-fiction work, That Oceanic Feeling, both captured the wonder and mystery of the sea. Her love of the ocean was forged during holidays as a child at her grandparent’s Mornington Peninsula retreat. This intimate connection with the coast can also be seen in her descriptions of Gotland, all sea mist and brackish waves, lowering sky and chill, biting air. You could step out of the pages of the novel directly into that vividly poetic yet tangible landscape. Our expectations of life may alter as we age, but everyone needs a special place to dream, says Capp, a place where they can be themselves. Perhaps one of the take-away messages of the novel is that even for a day or two, we are all entitled to get off today’s frantic merry-go-round and experience our own, personal Gotland. Tags: Australian literature, Australian politics, Baltic Sea, Fiona Capp, Fourth Estate, Gotland, Julia Gillard, Night Surfing, social media, Steven Carroll, Sweden, That Oceanic Feeling | Permalink. Please find a link to July’s Pageturners 3 mbs podcast. Apologies to subscribers who were unable to access the previous edition – this should do the trick!